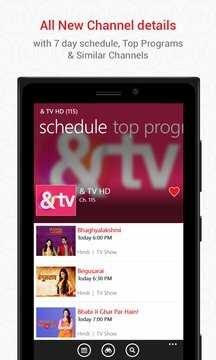 India’s Official TV Guide App, covers 700+ Indian TV Channels! Quickly see what’s on TV, mark your favorite channels & shows, set reminders, and discover new shows. 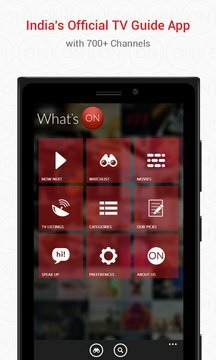 The app features a neatly organized set of buttons to get you to the best movies, sports matches, TV shows and events happening on TV. This app puts at your fingertips a comprehensive program guide with the date, time, star cast and synopsis of your favorite programs and movie schedules. The Whats-On-India app covers all major Indian languages like English, Hindi, Telugu, Tamil, Marathi, Malayalam, Bengali, Kannada, etc.